I try not to just drink beer, but eat it too. I’ve had chocolate made with beer, beer made with dougnuts, and crackers made with beer and beer ingredients. 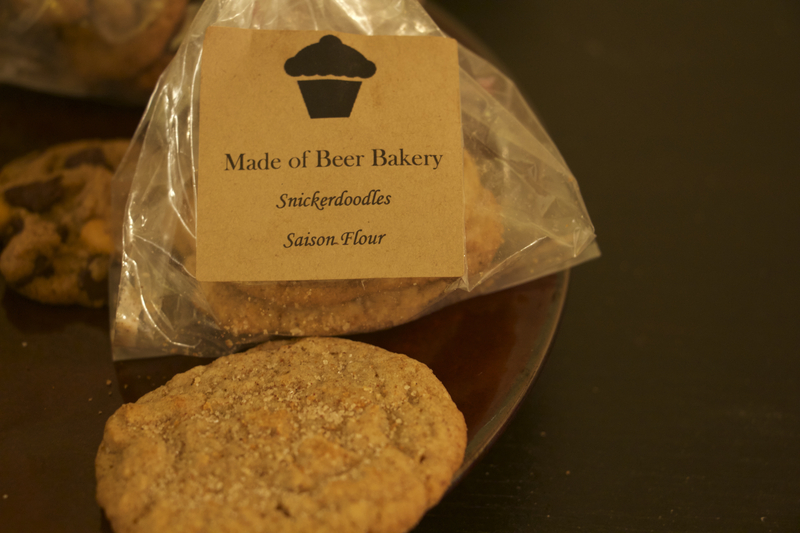 An interesting new take on this concept is Long Island’s Made of Beer Bakery. 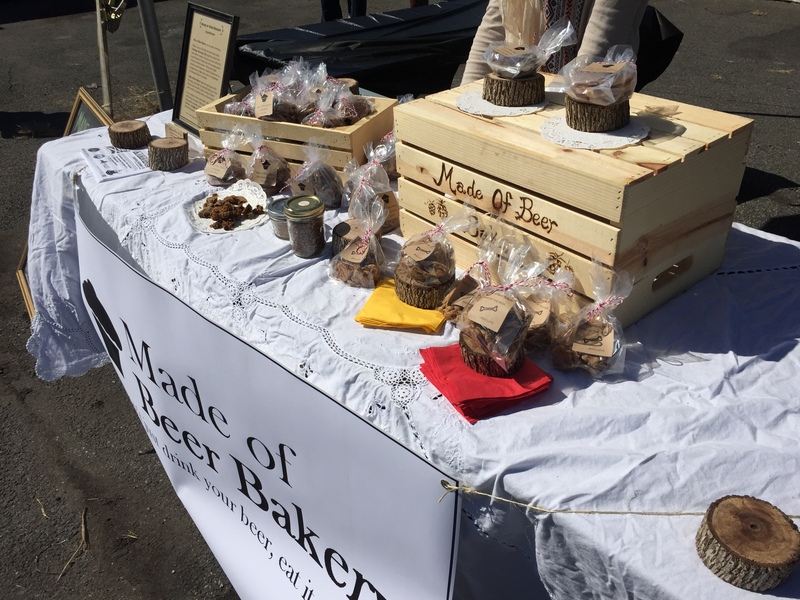 This homegrown bakery uses spent grain from Lithology Brewery. The spent grain is ground into flour, which is then used in the baking. In my dessert frenzy, I sampled chocolate chip cookies (made with black IPA flour), snickerdoodle cookies (saison flour), oatmeal raisin cookies (IPA flour), butterscotch chocolate chip with sea salt cookies (black IPA flour), and a pumpkin whoopie pie (pumpkin porter flour). My favorite was the butterscotch with sea salt. I love anything mixing chocolate and sea salt, and the black IPA flour added a hint of bitterness that you don’t expect to find in a cookie, which went well with the creamy butterscotch. My beerdog, Nikki also go her own sample of dog biscuits made with peanut butter and IPA grains. She can be a picky eater but she devoured these. Maybe next time I’ll fill her water bowl with Heady Topper. Orders can be made via facebook here (prices range from $2-5), and delivery is also available. 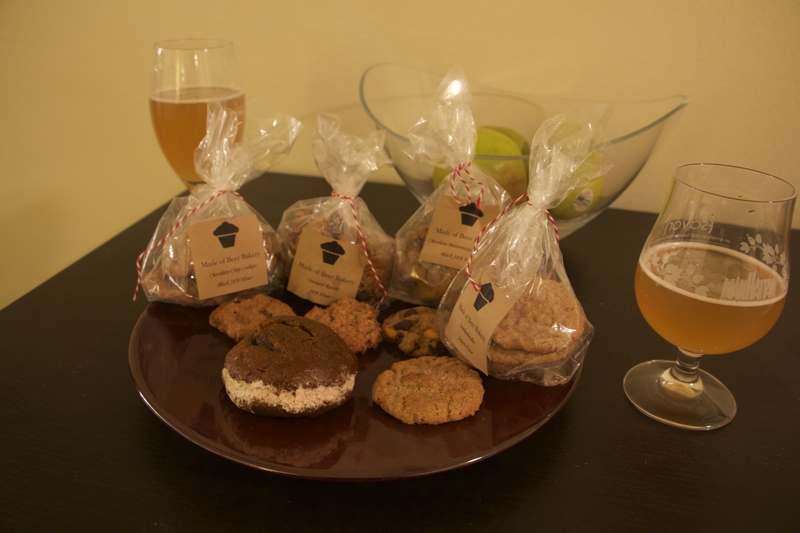 Beer and cookies, what’s better than that? !